Local network opens up the players a really huge variety of game strategies and teamwork. Game Warcraft, which has more than 90 million users, holds the palm among computer entertainment through a remote connection. Often beginners have problems with the game on a local network, but fortunately, this problem is simply to allow. -The local network or access the Internet. In order to play Warcraft on a local network , you need to create high-quality connection. For this there are a few simple ways. The most popular is a collective game using Garena platform. Download Garena client from the official website. Install and run the utility. Choose from the drop down list Warcraft game, then run Frothen Trone.exe. Now select the game through the local network. In the new dialog box, the player will easily be able to choose a server with a certain number of other gamers. More simplest and most effective way of creating a connection is a game on a local network without using the Garena platform. In this case, the user will need to have installed the program LanCraft. This utility is free and it is easy to find on any gaming network share. Download LanCraft from network Internet. 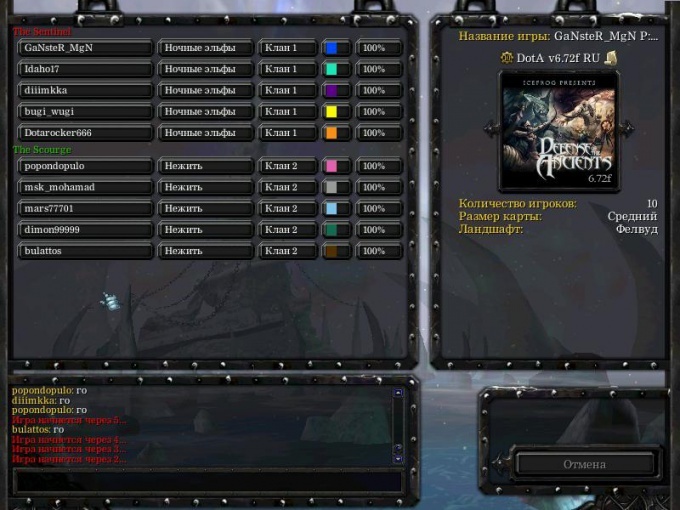 Download the game Warcraft. In the settings menu select the item "Game". In the opened window select the port address and enter the keyboard value "6112". After entering the data click "OK". With the game on the local network, select "New game" and create a server to which you will be able to join other players. Already downloaded the program LanCraft copy the game folder Warcraft. Disconnect all internal Windows settings that relate to Firewall, also turn off the antivirus while playing the game on a local network. Run the application LanCraft, then manually enter the server ip 6112 and click on the "Start Warcraft" Upload file Frothen Trone.exe and select the game on a local network. It is mandatory to notify all players your IP address. You can see it in the settings window of the game Warcraft. Without it, other gamers will not be able to connect to the remote server. Check the availability of the local network and connect to the Internet. It often happens that beginners can't create a server because of wrong settings in Windows.